Hotwire for use with Racetronix G77 Injector wiring harness to improve and increase voltage to the injectors. This can improve injector response at low pulsewidths. 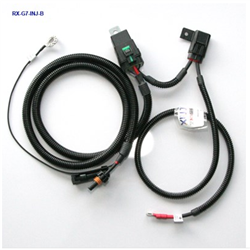 It is plug and plug with the G77 harness.